Considering the earthquake, tornadoes, flooding, drought, excessive heat and stink bugs, York County‘s apple crop could end up having a banner year. Many fruits and vegetables did not fare well this summer with the erratic weather. However, the apple crop has been unaffected. The rain has kept the stink bugs at bay. One York County apple grower referred to her crop as “tremendous”. Adjoining Adams County is the number one fruit producing county in the state. 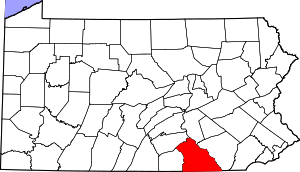 Experts fear that climate change could limit apple production to the northern counties of Pennsylvania by mid-century.